Princess hasmin. It took me the whole morming e.e'. HD Wallpaper and background images in the disney crossover club tagged: disney crossover disney crossover jasmine kida. 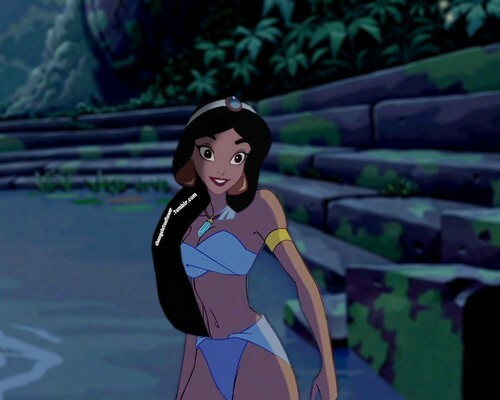 This disney crossover photo might contain bikini, dalawang piraso swimsuit, damit-pampaligo, swimsuit, swimwear, damit-pampaligo, swimming costume, and bathing costume.